You can really be creative with your garden! For example you can go bold by turning your front yard into an edible garden or if you prefer to do something low key “spice” things up by growing unconventional vegetables! A black radish is a perfect addition to your garden. This veggie has a peppery taste that will add zing to your salads or stir-fry. They also have a long list of great health benefits: like lowering your cholesterol and keeping your bone marrow healthy. That’s not all! According to a study conducted by the University of Wisconsin, black radishes have detoxifying properties that can help your liver. Radishes are a cool vegetable that can be directly sowed into the ground. You can start planting after all danger of frost in the spring, and earlier in late summer, once the weather is cooler and the ground is dry. 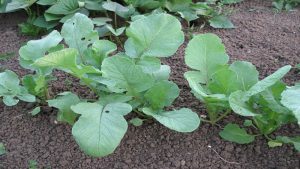 Unlike the red radish, the black radish takes 55 days to mature after planting. Space radish seeds two to four inches apart, since they can also grow bigger than their counterparts. Make sure to till the area well before planting, so the seeds are covered with ½ inch of fine dirt. Black radishes do need plenty of sun, so grow them in an area where they can get 6-8 hours of direct sunlight. Also, black radishes grow best in moist soil with a pH balance of 5.9 to 6.8. Remember, it’s always a good idea to prep your soil with compost before planting to ensure healthy soil! Radishes are easy to grow and pretty hassle-free, just make sure you keep them well watered. Spice up your garden with a black radish! Black radishes take a little longer to mature than spring radishes but they tend to grow taller and bigger. Your radishes are ready to harvest once you see the top portion poking above the soil. Gently pull them out of the ground or dig around them then pull. Be sure to pick them when they mature, if not they will get woody or spongy. Radishes can be stored in the fridge for up to 3 weeks at 32-40 degrees Fahrenheit. Before you store them, make sure you cut off the tops, since the leaves lead to excess moisture. If you’re feeling adventurous, the greens can be sautéed in a dish as well. You can serve back radishes various ways! They can be used in soups or even sliced thin like chips for a side dish. Black radishes are used in a lot of Indian and Chinese diets for medicinal purposes. In Europe, they are used to spice up mashed potatoes. Whatever you use them for, they are definitely a treat worth growing! 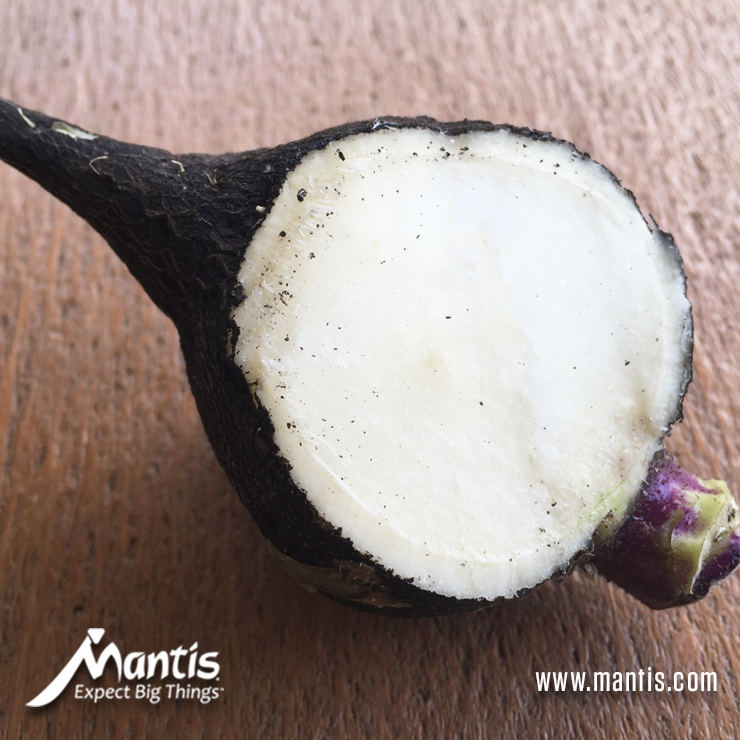 Where can I get the seeds of Black Radish? Burpee would be a source of the seeds. Also sustainableseedco.com carries them.